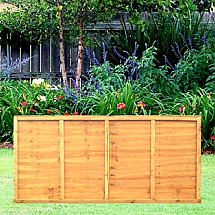 A high-quality well-built traditional 6ft X 6ft Lap Fence Panel dip-treated and fitted with strength beams for added wind resistance. 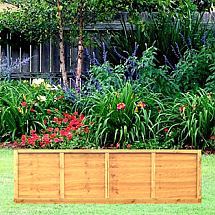 At Fence Rite we provide and install the robust 6ft x 6ft lap fence panels. We know the importance of privacy and our lap fencing provides this to your garden while also providing a perfect backdrop to create a garden of luxury. 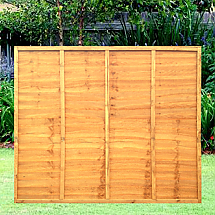 This high quality 6ft x 6ft fence panel is our biggest available product and is one of our most popular choices amongst customers. 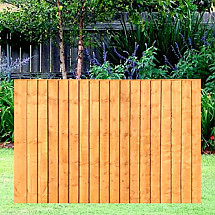 So if your looking for a re-design of your garden or simply looking to replace old fence panels between you and your neighbour then our 6ft x 6ft lap fence panels are perfect for the job. 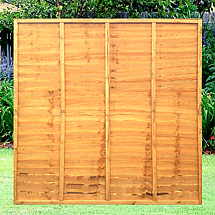 All our lap fence panels are dip treated and can be delivered to your door.